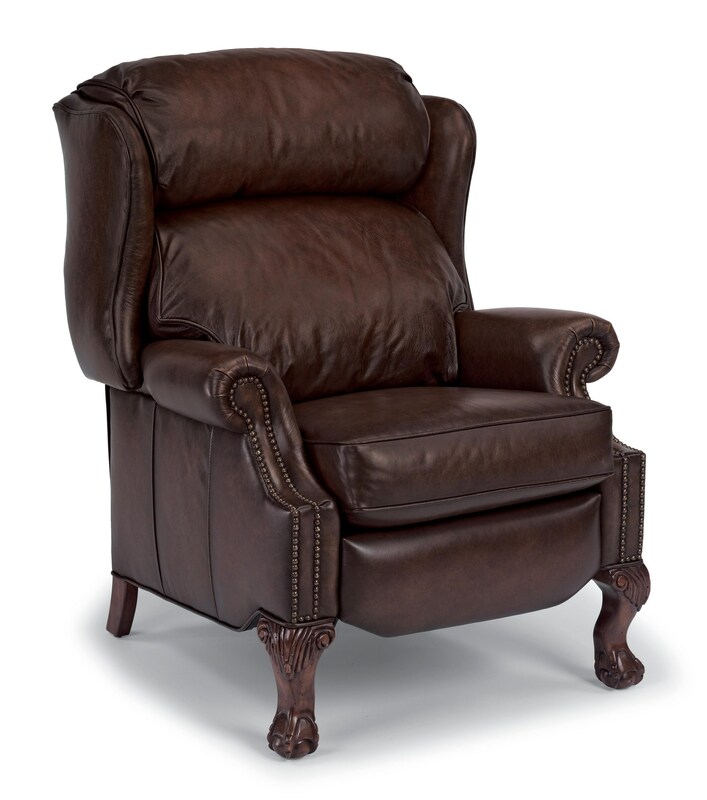 Infused with elegance and prestige, this high-leg recliner will set the tone of any room. Perfect for living rooms, dens, or even your home office, this recliner features rolled arms, cabriole legs, nailhead trim and paw feet. Its plush back and boxed seat are superbly soft and supportive, and with just a simple push on the arms, a padded footrest is released. The ultimate in comfort and style, you can't go wrong with this functional and fashionable recliner. The St.Albert Traditional High Leg Recliner with Nailhead Trim and Paw Feet by Flexsteel at Miskelly Furniture in the Jackson, Pearl, Madison, Ridgeland, Flowood Mississippi area. Product availability may vary. Contact us for the most current availability on this product. Warranty Five year limited warranty on mechanism and cushions. Lifetime limited warranty of hardwood frame and spring system.